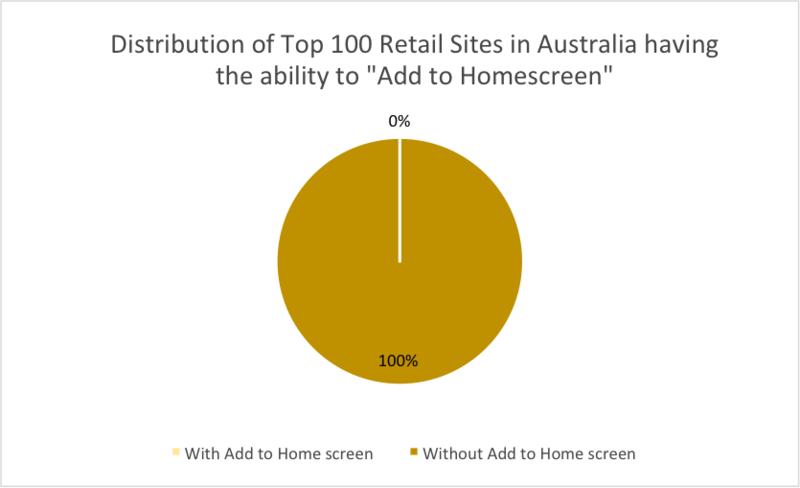 Inspired by our initial study of Mobile Readiness & Progressive Web Apps in the UK – in this study we’re taking a look to see if the top 100 Australian retail sites are adapting to mobile best practises and are progressive web app ready. We believe that the majority of websites have not changed to take advantage of all the features available (sometimes essential) to ensure a good experience for the majority of visitors, this can be caused by a series of factors, such as: speed, security, discoverability and much more. Our previous studies: Mobile Readiness & Progressive Web Apps in the UK and Mobile Site Speed Benchmark indicated that slow mobile experiences had a detrimental impact on visitors and visitor performance metrics. First, let’s recap on what the PWA features are. Progressive Web Apps (PWAs) are websites that can be available on any mobile device by adopting app-like features and characteristics. These features contribute to a better user experience by making the site accessible to a greater amount of users. For day-to-day use, features like those related to speed and security are considered best practices for any website and are being continuously emphasised by Google. We obtained the top 100 Australian online retailers from Australia based eCommerce consultancy firm Magenable. We then used the Lighthouse Audit Tool to identify which of of the progressive web app criterion were being met. For more details about Lighthouse please click here. HTTPS – Is the site served over HTTPS? 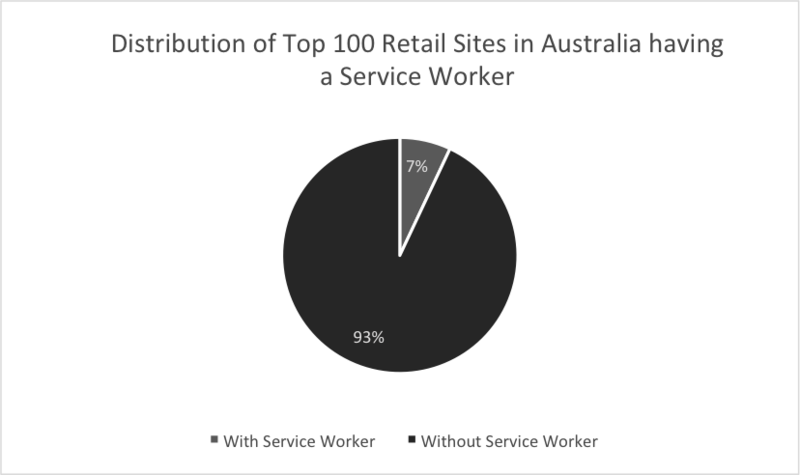 Service Worker – Does the site register a service worker? Speed– Is the site interactive in less than 10 seconds on a 3G connection? Add to Home Screen – Does the site prompt the user to ‘‘add to home screen’’? Content Sized for Mobile – Does the serve content that fits right to the device viewport, either by serving responsively or adaptively? As for methodology, after we ran the Lighthouse tool we manually recorded a checklist Y/N to show if the site passed the audit criteria. Using secure protocol provides additional security for personal data, such as credit card information or any other personal details. In addition many newer web technologies such as new browser features, PWA features and HTTP2 are designed for, or in some cases require HTTPS to work. Technically a service worker is a man in the middle that can manage push notifications, background sync and the delivery of some content whilst out of range of a mobile Internet connection. Particularly powerful when a user adds a site to home screen this feature can push content and contribute to a sense of ‘always-on’. Speed – Is the site interactive in less than 10 seconds on a 3G connection? 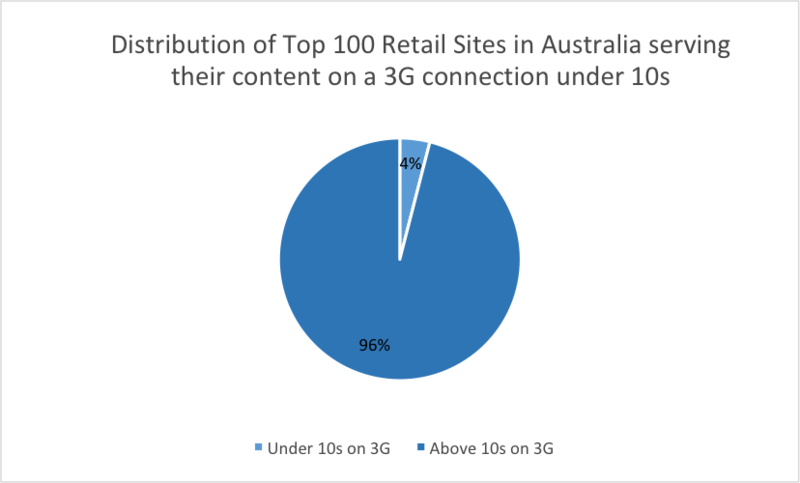 Many mobile device users are still getting by with 3G connections which can contribute to a slow and frustrating experience. For that reason, we are looking for a faster experience from leading sites; therefore the measurement standard is a level of interactivity, TTFI (time to first interactive). The pass/fail mark here is a sub ten second TTFI. As we see, only four sites managed a sub-10 second TTFI. 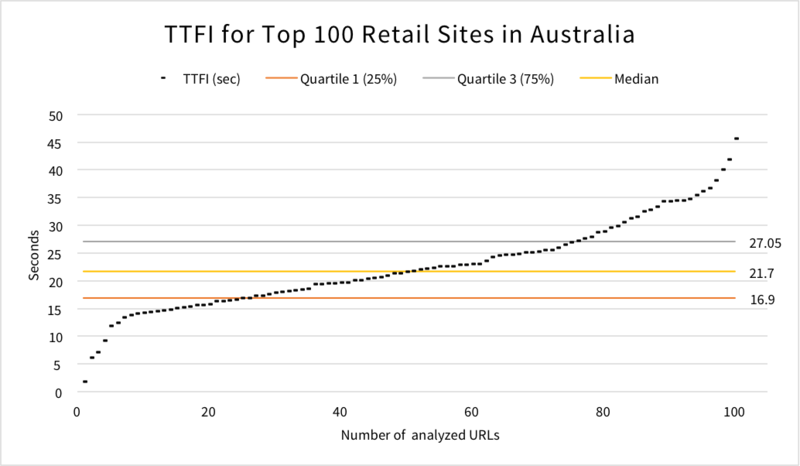 The fastest retail sites in Australia load in 16.9 seconds on a mobile runtime config. 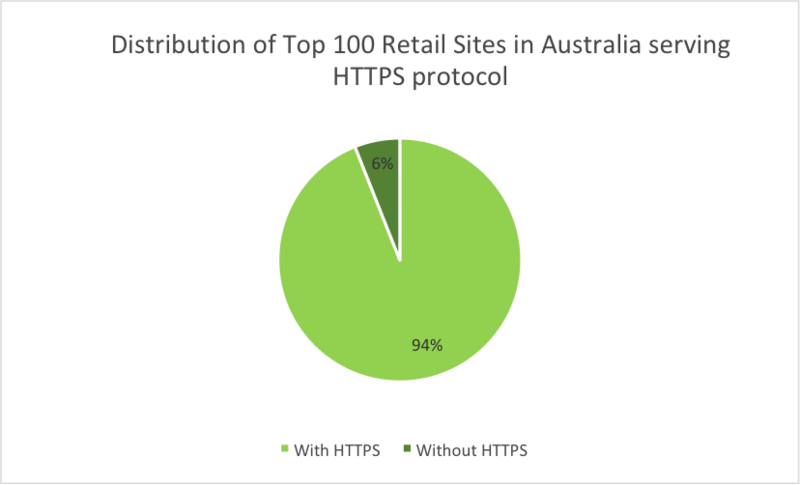 Let that sink in… The fastest retail websites in Australia are still too slow to pass Lighthouse audit criteria. Along with the service worker script and the features it facilitates, the ability to ‘‘add to home screen’’, which is managed in the App Manifest, is the second main feature of a PWA that is specific to the app like characteristics. Content Sized for Mobile – Does the site serve content that fits into the device viewport, either by serving responsively or adaptively? One size does not fit all when it comes to mobile internet use. This criteria, along with HTTPS and time to interactivity are good practise criteria that work for mobile friendly internet use independent of the PWA features. Whilst most of Australia’s leading retail sites are serving content optimised for mobile visitors and use a secured protocol, many of these are still not making use of Progressive Web App features. There’s disparity of experience offered to mobile web users by these leading websites making us ask if many are ready for the upcoming Mobile First Index change by Google.